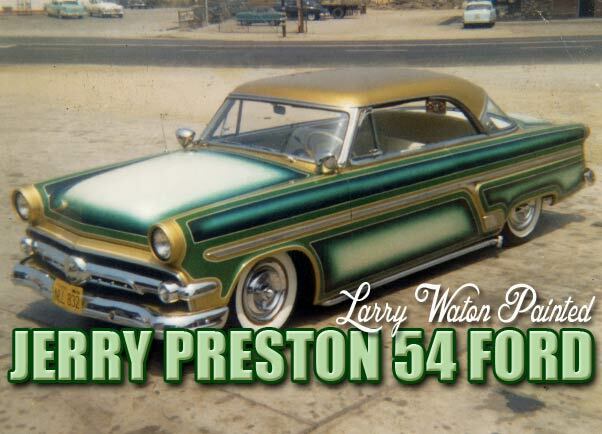 Jerry Preston 1954 Ford Victoria was one of the first panel paint jobs with faded panels done by Custom Car painter Larry Watson. in 2006 I came across 4 original Larry Watson photos on ebay. Two of the cars in those photos I had seen before in the magazines, but the other two I had never seen. 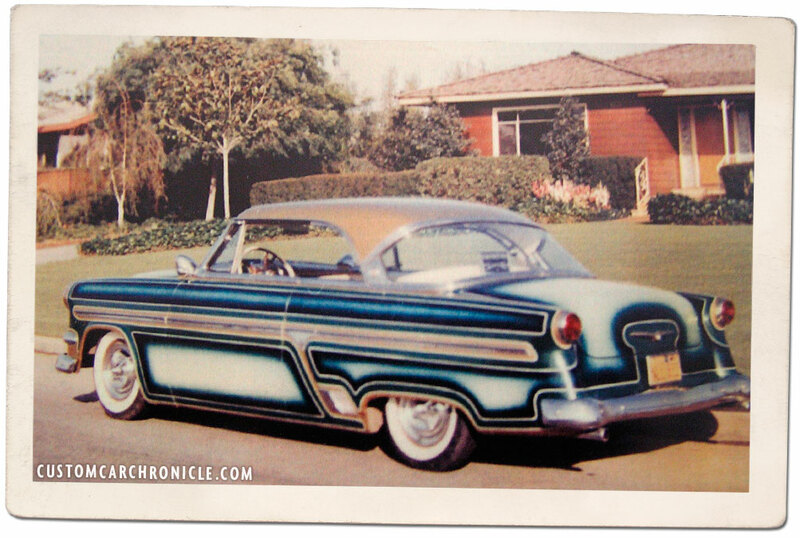 One was a ’56 Chevy white with green outlines, and a wild panel and outline painted 1954 Ford Victoria. 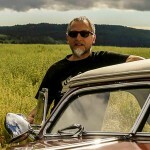 The photo of this ’54 Ford was really super quality, and much sharper and more brilliant in color than the other photos. 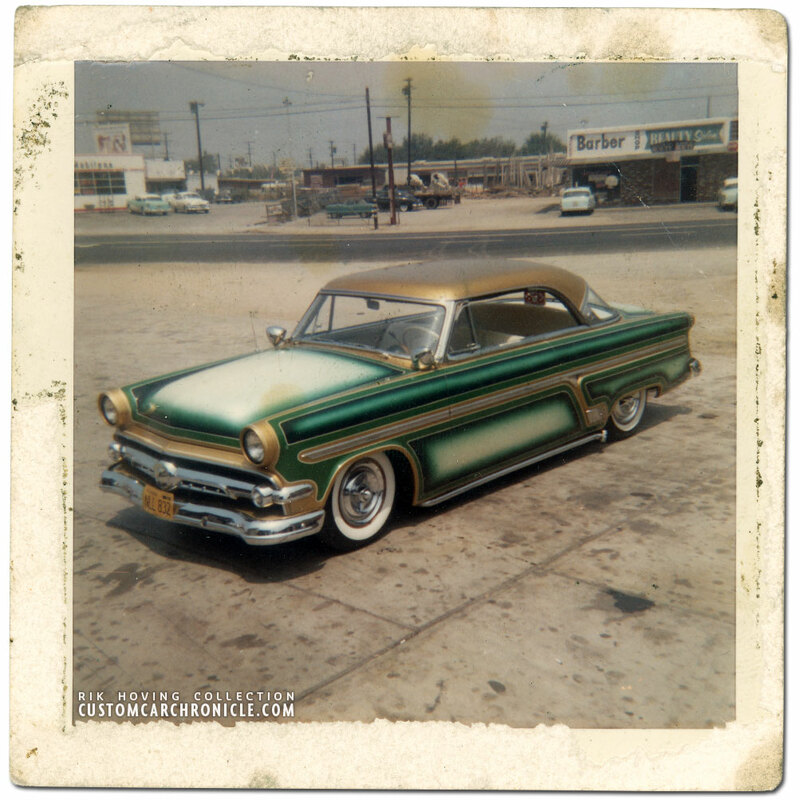 When I received the photos some time after the auction had ended I scanned them and shared them on my Custom Car Photo Archive website, and hoped somebody would recognize the two photos that I had been unable to identify. 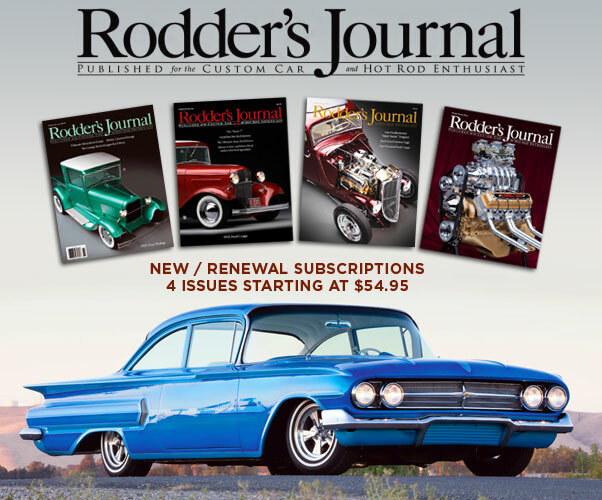 Several years later I received an email from Bobby Eidem, that the ’54 Ford Victory was owned by a good friend of him Jerry Preston. And that Jerry was still around, and very thrilled to see the photo. 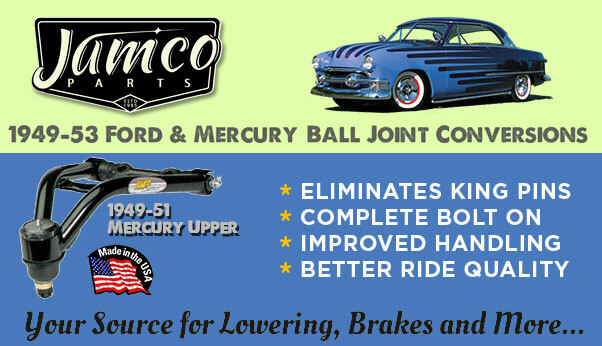 We emailed back and forth about the car and Jerry had two more photos of his old ’54 Ford painted by Larry Watson that he shared with me. And Jerry also shared his story on another car, a ’59 Chevy El Camino he had after the ’54 Ford that Larry painted for him several times. Scan from the photo how I got it from the eBay auction. The border around the photo was ripped from having tape removed from it at one point. The photo was stained a bit as well. 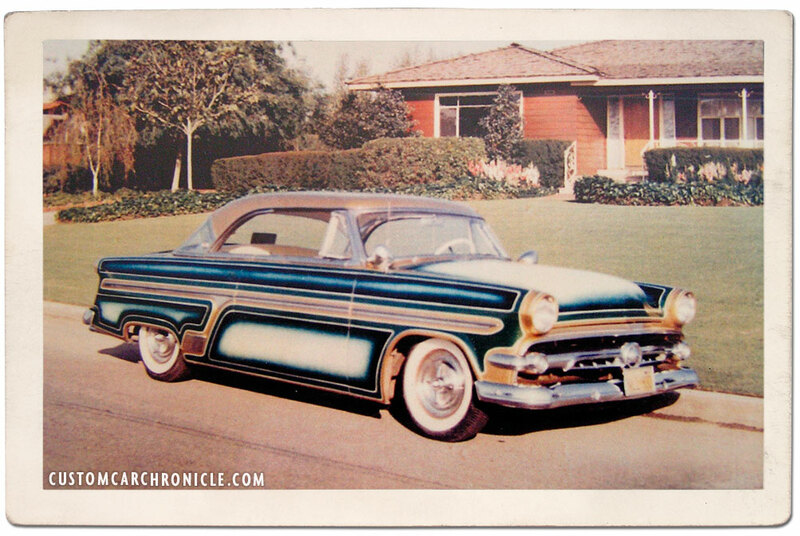 “The first car Larry painted for me was a 1954 Ford two-door hardtop Victoria in factory color white. I had bought the car from a guy who was getting married and needed the money. The car was already lowered and had flipper hubcaps. I don’t remember how much I paid for it, but I would guess that it was somewhere between $175 and $250. After a month or so, I went to see Larry Watson, who was on Bellflower Blvd. at the time. I asked him about getting the car painted, and he liked my suggestion of a pearl white bottom and a gold top. But I first went to legendary body man Bill DeCarr who removed the handles and shaved some of the the trim and emblems. Then I took it back to Larry for his magic. When the paint job was finished, the car looked good but very plain. Larry said, “You know, this would be a perfect car to panel.” I had seen some of Larry’s work, but I didn’t know what he was talking about. Trusting his expertise, I agreed to let him panel it. The first time I came back to see the car, it had the candy green faded panels. Even though I thought it looked better, Larry said that he wasn’t done with it; he wanted to add a trim color – lime green with gold outlines to match the top. Well, at this point, I was all for it. So, he made the additions and cleared the entire car. Cleaned up photo shows Jerry’s Car at the parking lot of Larry Watson’s very productive 9012 Rosecrans blvd. Bellflower Shop. 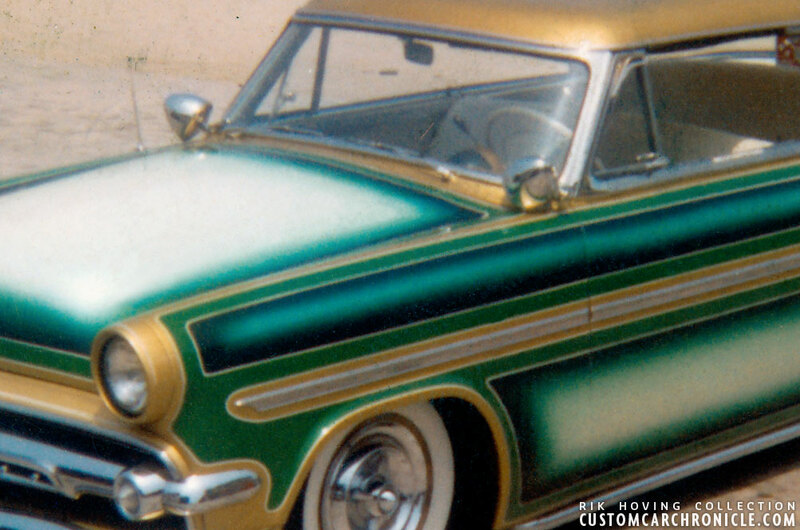 Cropped section gives us a great look at the creative designed outline, solid and fogged panel paint job by Larry Watson. I picked the car up a few days later. It had not been rubbed out or color-sanded yet. Larry said he wanted the paint to dry for a few weeks before he did the color-sanding and the final rub out. He also said that he would do the final pin-striping. When it was finished, I took the car home, and what a reception I got! The comments ranged from “WOW” to “You’ve gotta be kidding”! The car sat in the garage for the next two weeks. It was then returned to Larry for the color sand and rub out, and then later on he did the pin-striping in white. 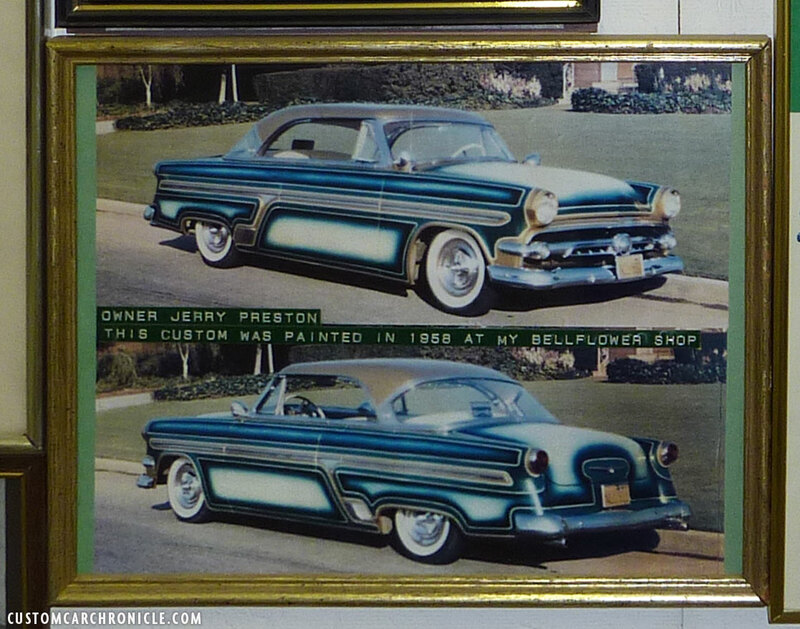 When the car was completely finished, I picked it up and went directly from his shop to Harvey’s Broiler in Downey. 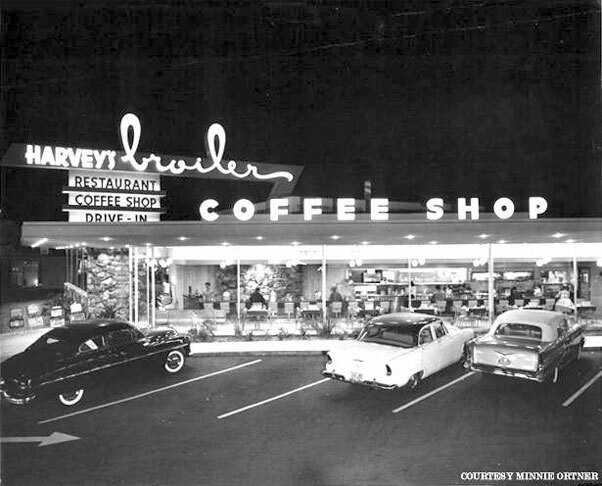 Harvey’s Broiler in 1958, the first Place Jerry took his freshly finished ’54 Ford, and where his new Larry Watson paint job was an instant hit. The photos Jerry send me are actually a bit older than the one from my own Collection. Jerry’s two photos show the car with the Spotlights, but still without the Full Lake Pipes. Rear 3/4 view shows that the trunk had the emblem removed, but the handle with lock remained on the car, and Larry incorporated it with the design of the outline, panel paint. 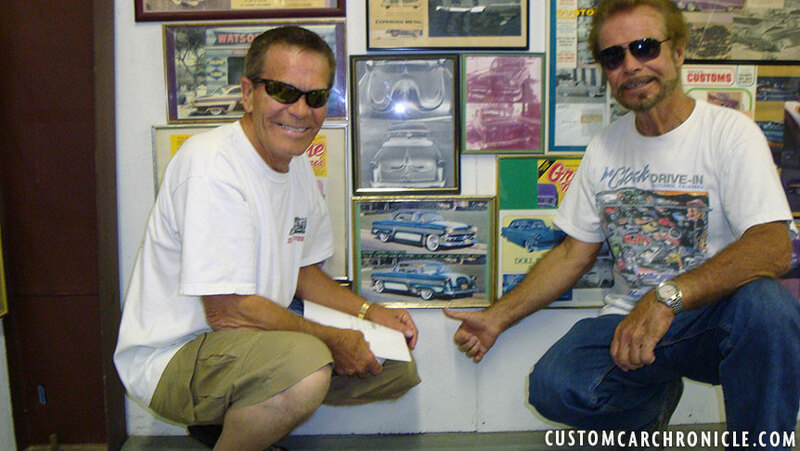 Close up of the two framed photos of Jerry’s ford in the Larry Watson Museum. Jerry eventually sold the’54 Ford and never saw it again after that. 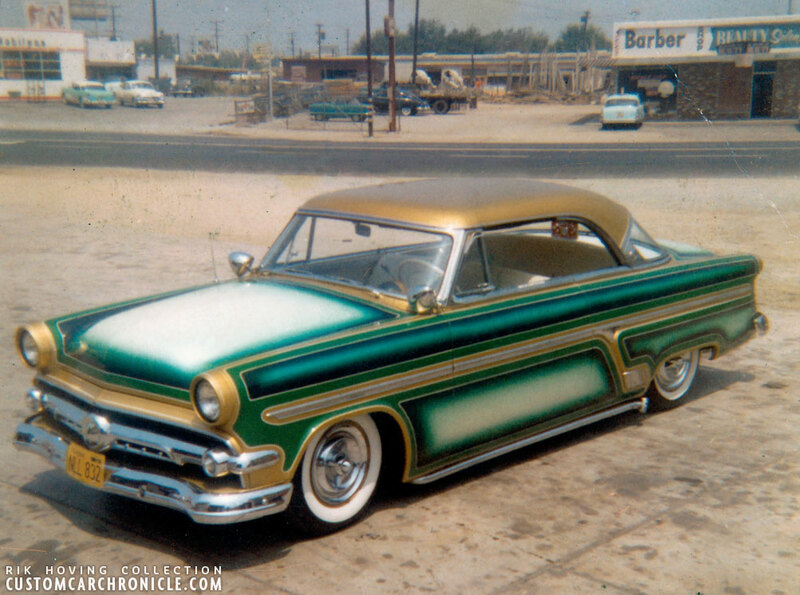 The next car Jerry bought was a 1959 Chevy El Camino which he had restyled again by Bill DeCarr and when he was finished he asked Larry Watson to paint it for him… in fact Larry painted it several times for Jerry. THE WET IT OUT………… PAINTING MASTER…….!! !